Marianne of ‘East of Malaga’ blog, has challenged us to post photos of something blue. 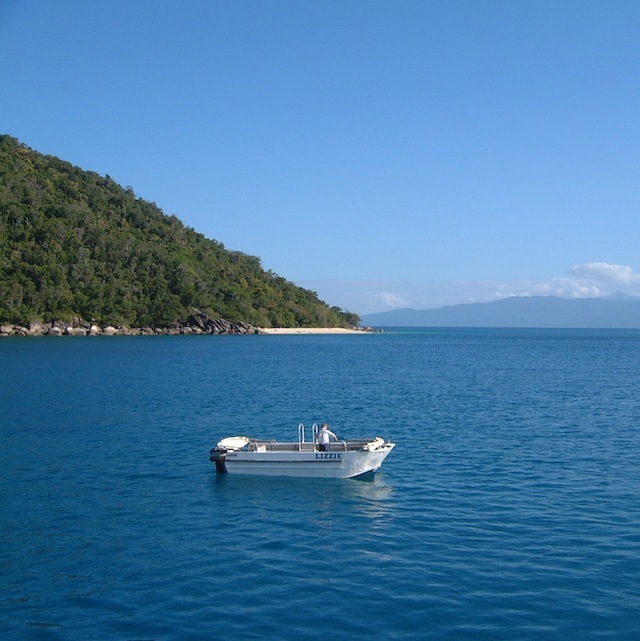 The Great Barrier Reef, off the east coast of Australia is one of the wonders of the natural world. Snorkelling in the Coral Sea, was an amazing experience. 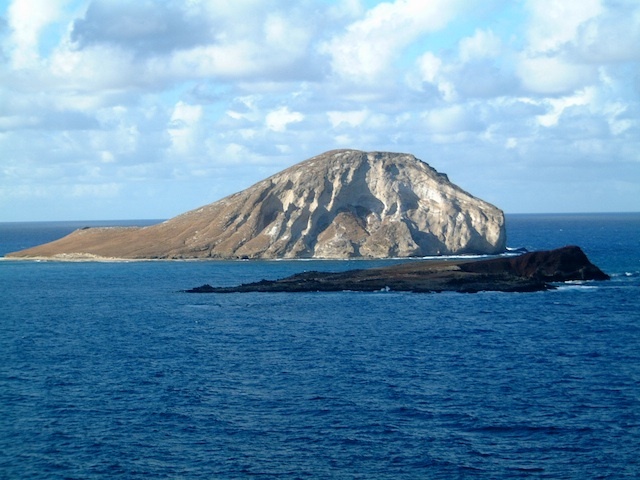 The deep blue of the Pacific Ocean, viewed from the island of O’ahu in Hawaii. 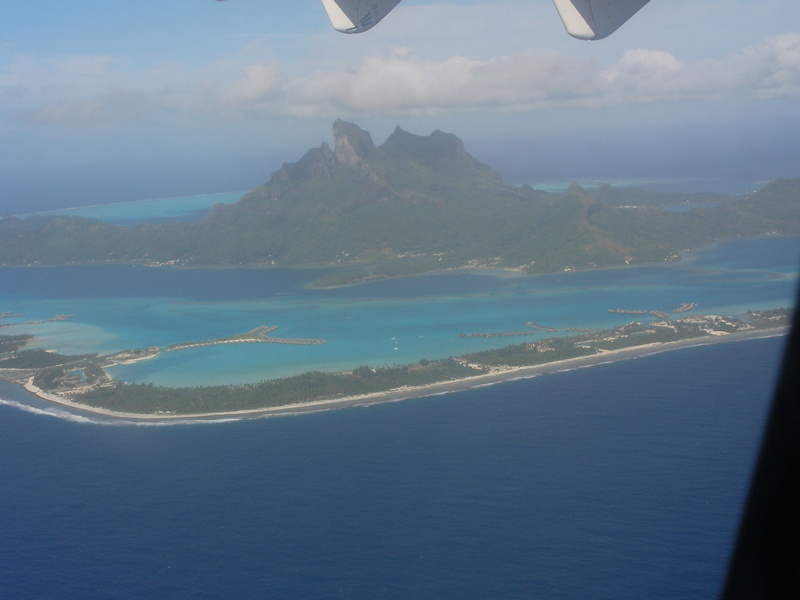 Flying in to the island of Bora Bora in French Polynesia; so many different shades of blue. 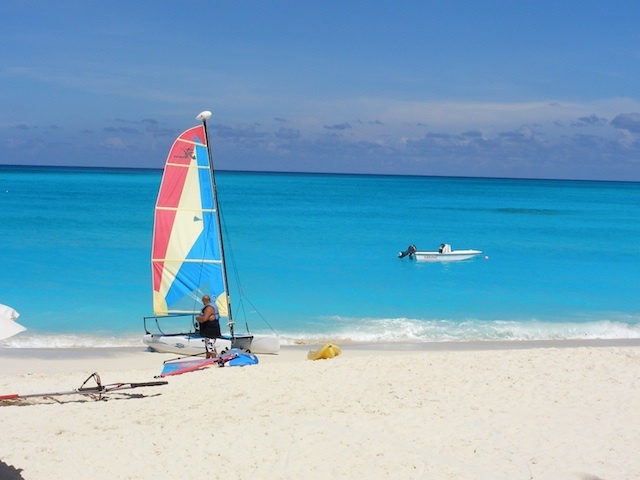 In the Bahamas, the turquoise blue of the Caribbean is matchless. 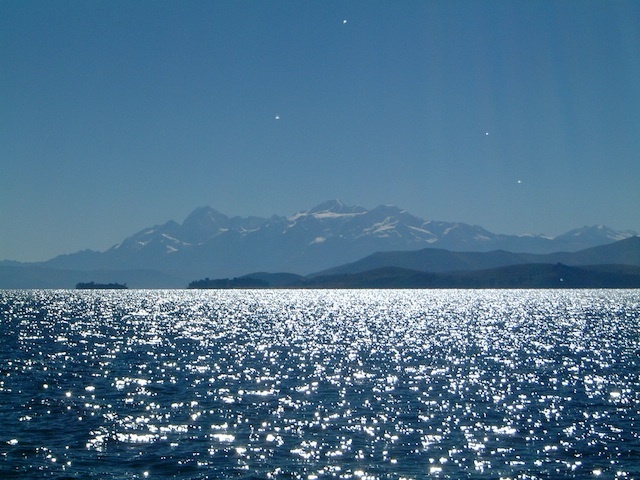 The sparkling, icy blue of Lake Titicaca, surrounded by the snow-capped Andes mountain range. 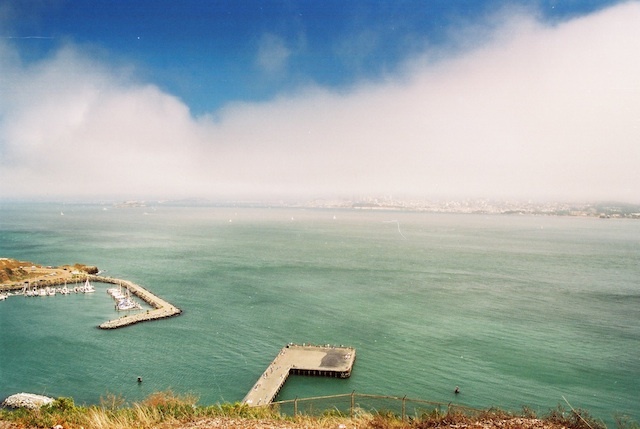 The greeny blue waters of San Francisco Bay. The warm waters of the Andaman Sea in Phuket. Last but not least, is the Atlantic Ocean. 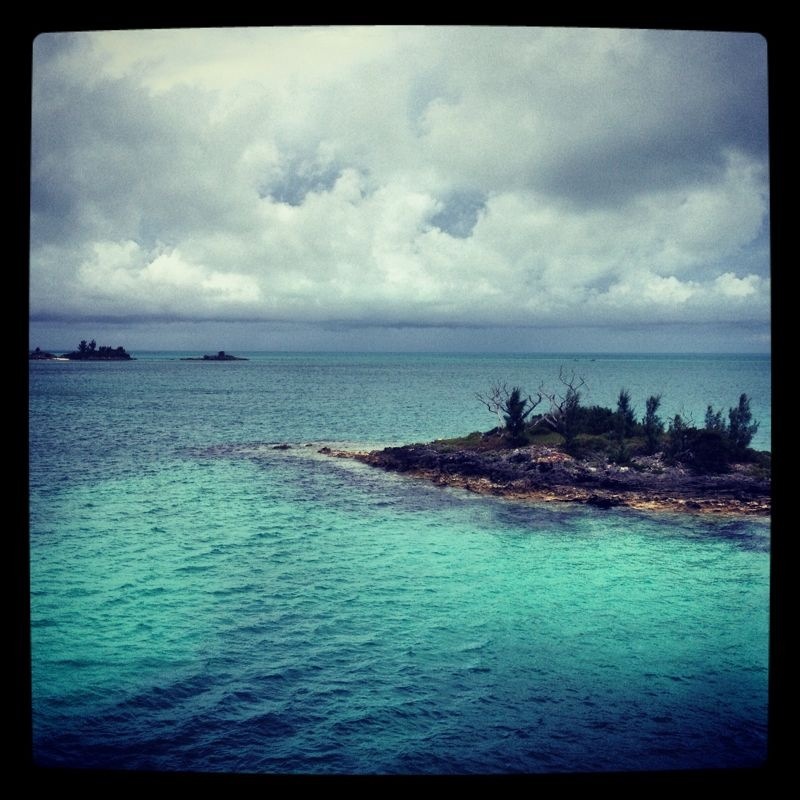 This photo was sent to me by my son, from Bermuda, a place I have yet to visit. So many blues, so little time. To view more shades of this beautiful colour, pop over to Marianne’s post. Here are links to two blogs which I follow. Please go and have a look at them, they’re well worth a visit. What a collection of photos from so many different places. 🙂 great series. Nice looking blues. Great captures. All of them, breathtaking! Beautiful job! B for beautiful and breathtaking. Each image makes me wish I am close to the sea right now both to enjoy its fun surprises and at the same time, enjoy its calming , healing effects. Thanks. My favorite color! Great shots, as usual!! All are fabulous! 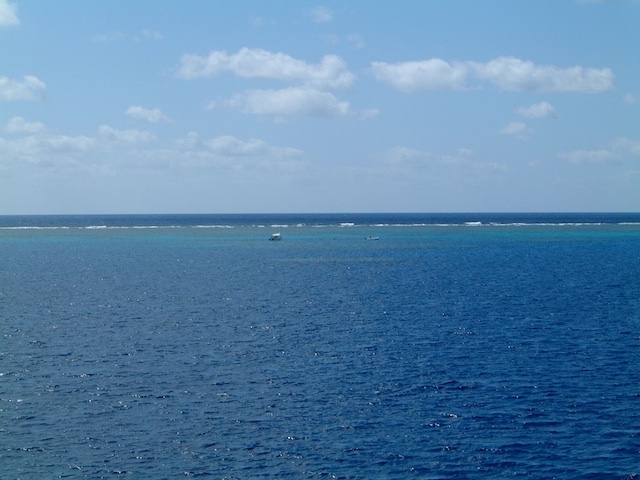 But my favorite is the turquoise blue in the Bahama’s – Simply lovely! Such intense and gorgeous blues! Wonderful AD! That Lake Titicaca pic – wow! It took my breath away. What? there’s actually a place you haven’t been to? Hard to believe! 😉 Great take on your theme… one of my favorite colors! You my dear….have lived an amazing life! Such gorgeous images, Thanks! Thank you for sharing so many fantastic pictures of blue! Sparkling and freshly glowing..Blue is truly a wonderful and soothing colour. Such lovely pictures. Blue is my fave colour, so I had to have a look. I´d love to visit this place one day. These are really beautiful blues ad. Glad you liked them, Hopestar. 🙂 Hope you’re Saturday evening is a good one. Hugs to you. All these blues are so inviting. 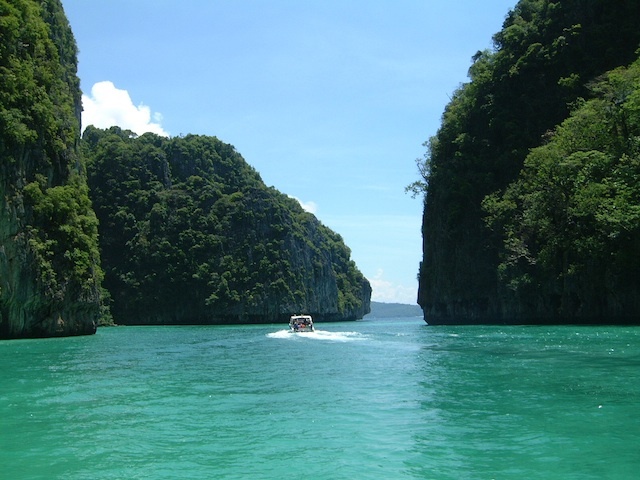 I especially love the Andaman Sea in Phuket and the Bermuda waters! Thanks, Cathy. Glad you enjoyed. Nice to see you back. Did you have fun in Ethiopia? Wow, that sounds like a lot of work you have ahead of you. Fabulous! Makes me miss summer already as well as awakes a wish to sail the Seven seas! Wonderful pictures Sylvia. Some really beautiful oceans around the world and what better way to show off the colour blue? So many shades of blue… beautiful pictures! Well you certainly covered that theme thoroughly. Beautiful Slyvia, and lucky you! I have never been to most of these places. These are magnificent and delightful sights! I liked them all. All of them look gorgeous and today I’d happily get on a plane to any of these destinations! Great Photos, Sylvia – all perfect for the theme! Such diverse shades – and they’re all just water!! wonderful photos.. love the color of the ocean..
Beautiful photos, so many shades of blue!